Are you familiar with the “new” Facebook Notes? If not, you may want to have a look at it. Like other social media platforms, Facebook is doing its best to stay relevant by offering new and improved features. 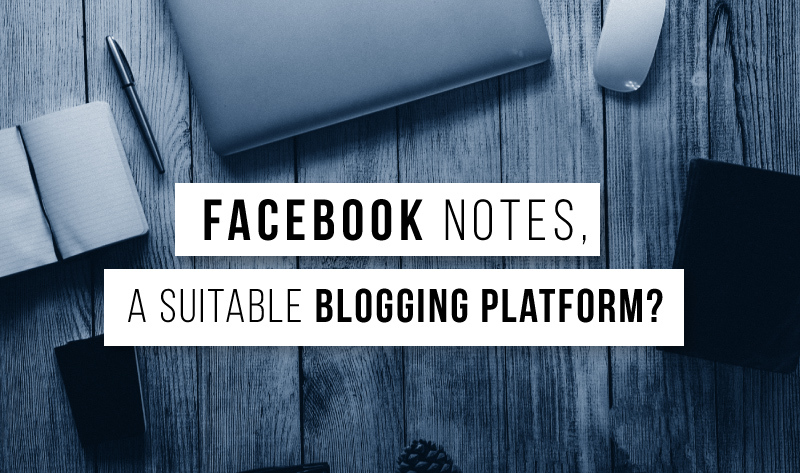 Quite a while back, it launched the first version of Facebook Notes, and it was pretty much a “bomb.” Now, the re-constituted version lets bloggers, especially those involved in content marketing, have a platform for posts. Links to those posts are provided by posting a “teaser” to the post on a business status update, so that a reader can then click through to the actual article which is held on the site. The goal is to extend your reach even further. 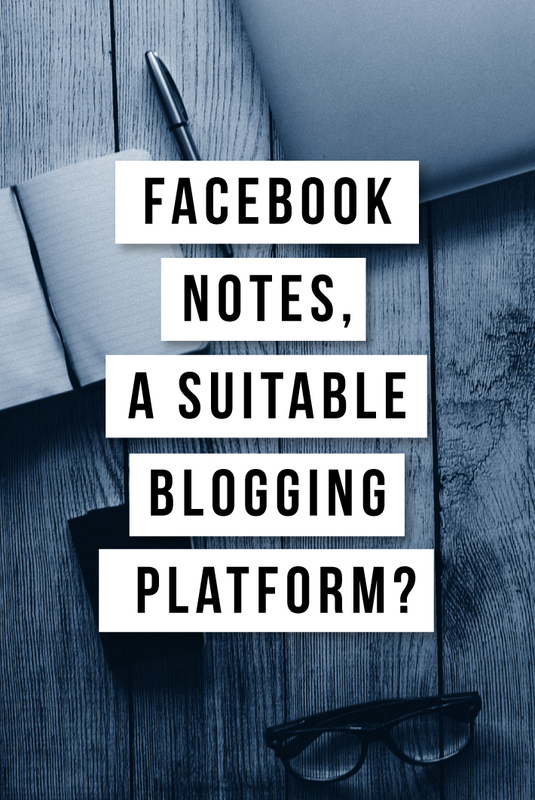 This feature may be beneficial to Facebook, but how beneficial is it to you and exactly how good is this blogging platform? Here are 5 concerns that you may want to consider before you embrace Facebook Notes in 2016. To create a post, you simply click on the “write a note” link, and you will be taken to an interface that looks very much like other blogging tools you are already using on your website business blog. You can add a photo for the “cover,” a snappy title, and then begin to write your post. There are some formatting options, you can add more photos and images, and you can insert numbers, bullet points and headings. While the tools you have on “Notes” may be adequate for much of your blogging, there are several things you cannot do. You cannot change formats in very basic ways. For example, you cannot alter the alignment of text, you cannot indent, and you cannot change the font type or colors within the post itself. This is a big drawback, especially for bloggers and content marketers who change typography and colors often to provide more visual appeal. This is a huge drawback, but maybe that will change in the future. We already know that adding videos to a post will increase the probability of sharing by 3-4X; and projections are that 74% of Internet traffic will be video by 2017. Bloggers must have platforms that support video if their posts are going to be viewed. If Facebook intends to make its “Notes” viable, this option will have to be added for sure. As to plugins, one of the best features of platforms like WordPress is the plugins. There are no plug-ins for Facebook Notes, and you are thus seriously limited. This is perhaps one of the biggest problems. Content marketers must have access to analytics in order to make decisions about time and money spent and to re-assess where, when, and what in regards to their blogging. While it is free, of course, to post on Facebook Notes, there is still an expenditure of time. Without analytics to determine effectiveness, content marketers are unlikely to see “Notes” as worth their time and effort. Having clear and up-to-date information on blog traffic is just critical. And, a post on Facebook Notes will lack permalinks, something that may impact SEO negatively. A lot of bloggers monetize their platforms with paid advertising or many of the other options to make money with a blog. If these options are not available, there is certainly no incentive to use Facebook Notes as a platform. In essence, you are “renting” from Facebook when you use its “Notes” feature. The content you produce can make Facebook more valuable, but not necessarily make you more valuable. Bloggers clearly see that they can build their own “houses” through other blogging platforms and use Facebook, along with other social media, as “outposts” to drive people to their own sites. This point is this: there may be a lot in it for Facebook, but what’s in it for you? There is certainly a lot of buzz about Facebook Notes, since it re-constituted the old Notes. And it does represent an effort on the part of Facebook to serve the small business community better. And, if you are new to blogging, this platform can give you plenty of practice before you launch your own blog. You can become familiar with just the basics and then, when comfortable, launch and continue to learn about all of the other features offered by the platform you have chosen. No one is going to dump his/her blog for Facebook Notes to be sure. But it would behoove Facebook to look for ways to make its platform far more appealing than it is right now. The “powers that be” at Facebook are no fools – they understand these drawbacks just as much as we amateurs do. Chances are, they are working on enhancements right now that will give Facebook Notes far greater appeal, especially as a content marketing option for small businesses. Ben Brychta – MBA student from San Jose, CA. He is big movie classics fan and loves to share his opinion on different thing happening in the spheres of the film industry, blogging and lifestyle. You can contact him through his Twitter or LinkedIn.